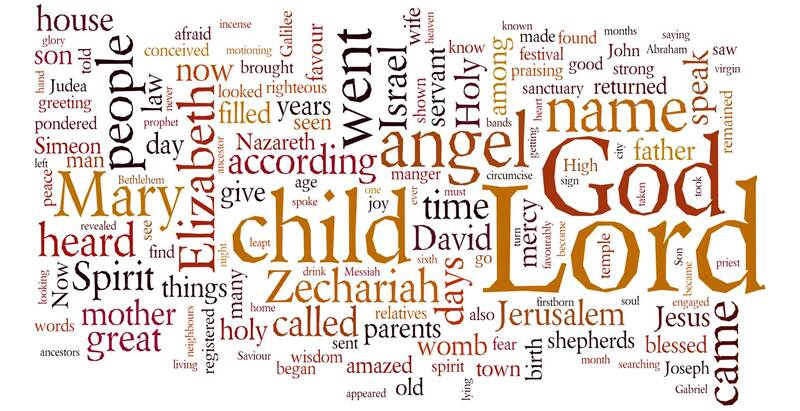 To mark the beginning of advent and the start of our Advent Seminars, the first of which (3rd December) will be featuring Matthew’s account of Jesus’ birth, we have produced a Matthean nativity wordcloud. Wordclouds render words according to the frequency of their use within a text; the more frequent the word, the bigger it is displayed. They can be used as useful tools for identifying themes and use of language. The text of Matthew has been taken from the NRSV and covers Matthew 1 and 2. 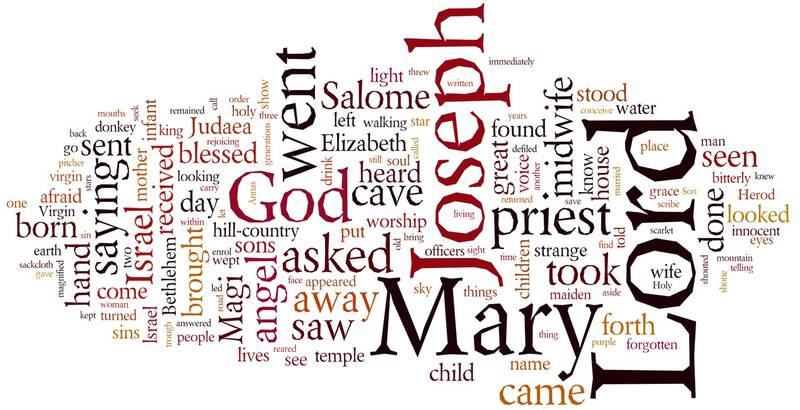 Although Matthew’s nativity traditionally starts at 1: 18, the wordcloud also includes his genealogy (vv.1-17). 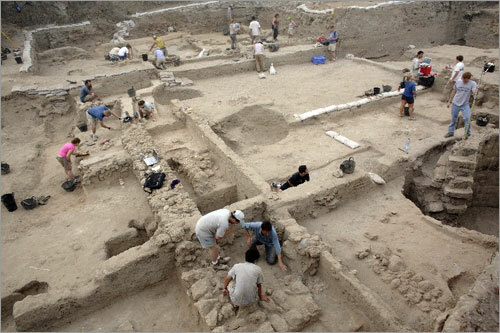 This is because the genealogy is central in setting up the birth account, embedding the story with reference to key figures and major events in Jewish history, as well as, importantly, establishing Jesus’ (and Joseph’s) royal lineage through to the ‘house of David’. The total number of words (including genealogy) is 1,124. Care must be taken with wordclouds as they can be misleading. For example, the prominence of ‘father’ would appear to be very apt (as this story is about a birth) and one might be tempted to draw a theological point from it by noting how important ‘fatherhood’ is in Matthew’s account and perhaps allude to the prominence of the divine father of Jesus in this story. 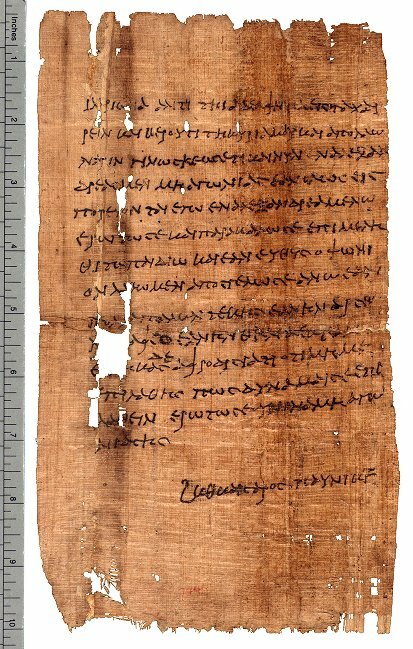 However, ‘father’ (πατηρ) occurs only once in the Greek text (at Matt 2:22) – and that is a reference to king Herod! The frequency of ‘father’ in most English versions is a translation of ‘γενναω’ (be father of, to give birth to’), sometimes rendered in older versions as ‘begat’. Once this is taken out of the equation, ‘mother’ then becomes much more prominent. Another problem with wordclouds is that key themes may be overlooked. As we will see in the seminars that the theme of ‘kingship’ is central to Matthew’s account. 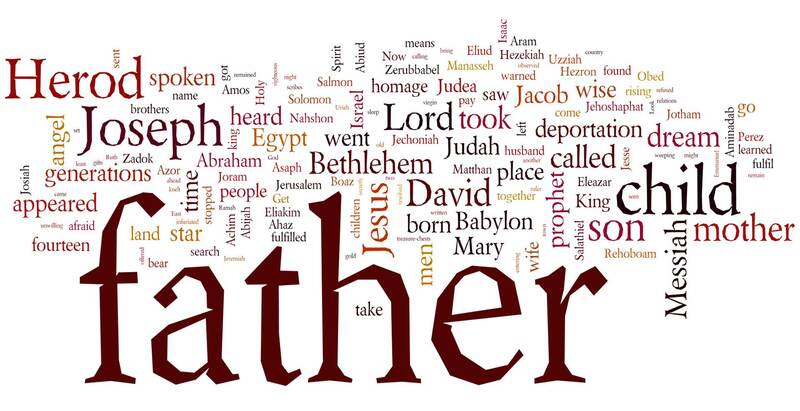 Nevertheless, one has too look quite hard for the word ‘king’ in the wordcloud (it is nestled vertically just after Joseph). Wordclouds can, nevertheless, help us to see some interesting features. For example the prominence of the name of Herod – again perhaps pointing to the running theme of kingship. 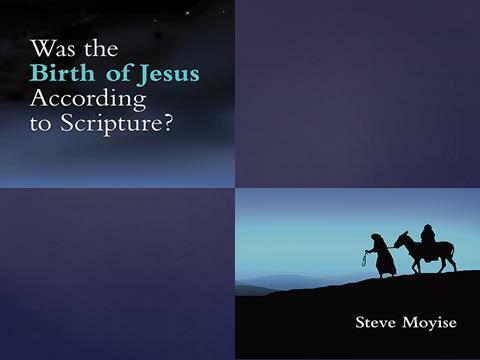 Other prominent words also relate to important figures; Joseph, David and Jacob. Important titles are ‘Lord’ and ‘Messiah’ (Χριστος – Christ). ‘Angel’ and ‘dream’ are quite notable as is ‘Egypt’. Surprisingly (for me at least) ‘deportation’ is also quite prominent. Look out for more wordclouds next week as we will be featuring Luke’s account of the nativity and then we will be comparing them both.